When I was a kid, my friends and I used to climb streetlight poles, build forts, climb up trees and over walls, crawl under fences and do cartwheels in our front yards 365 days a year – normal kid’s stuff! When the streetlights turned on at dusk, we had to come inside to finish homework, so we used climb to the top of the streetlights to try to disconnect the bulbs! The bulbs were protected by glass so it never worked, however, the best climbers became the stars of our neighborhood. We practiced climbing those light poles every day. Kids are now missing out on both physical activity and play. Physical education programs in schools are being cut and to top that off, kids are inundated with homework, tutors, lessons, sports and the Internet, which leaves little time to play outside with their friends. However, physical play remains a vital form of physical, mental, and emotional development for children. We all know our kids need to exercise. But what kind of exercise is best for our kids? How much should kids be “exercising?” What if my kids are in sports? Do they need more exercise? You want the best for your child, but a lot of information out there that can be confusing or contradictory. A good youth fitness program should include these five elements to aid your child’s physical development and life long love of exercise and movement. Although this fact won’t blow your hair back, it’s easy to get caught up in an exercise or sports program and forget about the most important element for kids, FUN. Parents and coaches can find themselves frustrated with their kid’s inabilities to see the “bigger picture,” the importance of staying focused and working toward their future goals. Most children don’t have the developmental brain capacity to understand that today’s actions will have an influence on their future lives. My son Tyler was a very good kid, like most boys who just couldn’t sit still. He ended up feeling “beat up,” by some of his coaches who took a lot of the fun out of a sport by constantly scolding him. To be honest, I couldn’t have sat through some of Tyler’s coaches “pep” talks either! And, of course, I was constantly looking for coaches who understood kids who had difficulty keeping their butts in one place for more than 15 seconds. Kids respond to how something makes them feel. They don’t have the ability yet to endure unpleasant work and uncomfortable situations because it will pay off in the long run. You do however want your child to participate in activities that make him or her feel more competent and really excited. Skills and drills and many other physical activities (that are vital for development) can be more fun for kids by allowing imagination, games and laughter and keeping them engaged at all times. I believe we are finally realizing the horrible disservice we have been doing for kids by awarding every kid a trophy! There are two universal human narratives, struggle and success. If we don’t have something to get better at, something that we WANT to getter better at, life becomes boring and complacent. Don’t do this to your kids! Struggle is a VERY IMPORTANT part of life! It makes us stronger, more creative and humble. If your child can’t run a mile if 15 minutes then participating in a program where he or she is shooting for a 12-minute mile is important. 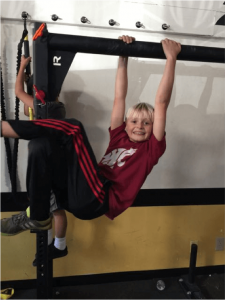 If your child is out of shape as a child it is going to be 10 times more difficult for him to get in shape in the future. And when she runs the mile in 13.5 minutes then celebrate that and encourage her to keep working towards that 12-minute mile. Simply providing a timed benchmark gives kids a reason to focus. Simplicity is also key for helping kids feel successful. If your child is specializing in only one sport, very specific movement patterns are performed over and over again. A coach’s jobs is to get their kids to perform at the highest level possible and NOT to teach technique and form. 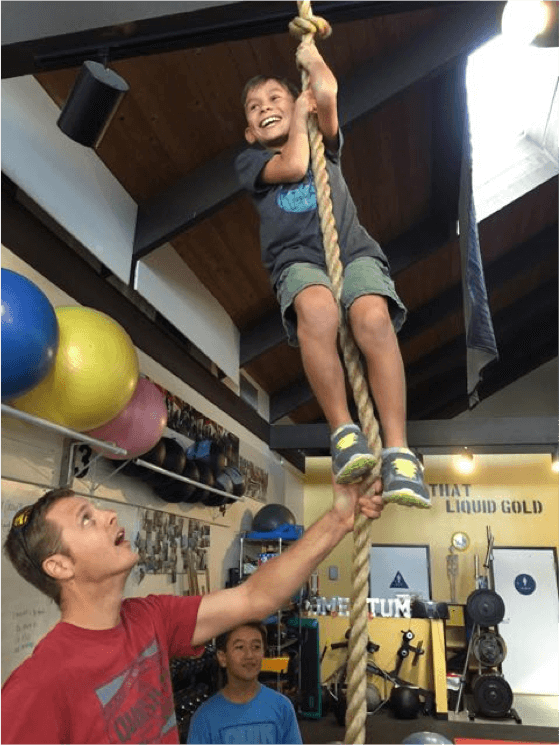 But in order for kids to develop into athletes and/or people who enjoy physical activity, they MUST LEARN THE PROPER FORM AND TECHNIQUES of basic foundational movement skills such as running, push ups, pull ups, skipping, climbing (pull ups), rolling, squatting, lunging and so on. Many of the movement issues I work with in adults today originated from childhood sports. 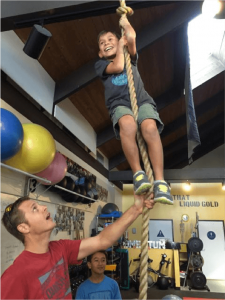 This is why programs like Mini-Ninja Warrior training are so important for kids; they teach form and the basic skills for sports and lifelong physical activity. Basic foundational movement skills such as stopping, starting, skipping and changing direction in a variety of different orientations is important regardless of what sport a child plays. Taking time to lean how to support one’s bodyweight on the ground through push-ups and planks, lunging, hip hinging and supporting body weight while hanging (grip hangs) will pay off exponentially for the rest of your child’s life regardless of whether he or she is an athlete, plays an instrument, or is a super brain. WE ALL NEED A TRIBE! Today we are all in need of community, a tribe. We work from home, in cubicles, or driving from site to site. Loneliness is one of the United States larges rising problems today. Kids spend 80% of their time in school sitting at a desk, focusing, reading, writing and focusing on educational topics. Of course they have time to socialize, but in school, kids are not necessarily working towards goals together. In activities like Ninja Warrior training, kids get the opportunity to actually struggle together using their own skills. 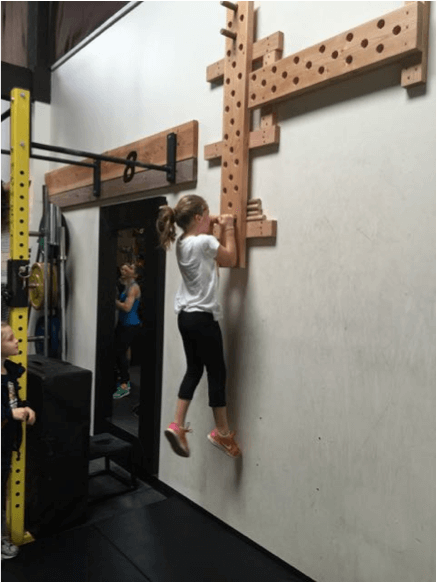 They watch each other learn to climb a pegboard or do push-ups with proper form and pull their body weight up over a bar. These may be individual tasks, but each child get’s to support the other kids while they struggle together. There’s something to be said about struggling to learn physical activity in a group setting, that’s why corporations spend thousands of dollars on physical team building events for their staffs. Mini-Ninja’s is about personal physical development but it requires a tribe to help teach, encourage and play with. I hear parents complain about how poorly their kids eat. But I’m going to be painfully honest here; there isn’t a strategy in the world that can override a child’s bad eating habits, if there isn’t a culture of wellness at home. If you don’t want your child to eat bad food, than model it at home first. Yes, your kids will eat crap at birthday parties, school, at friends houses, but by teaching her moderation in your home you are providing your child with the tools to choose. Get your kids into programs that get them excited about nutrition and make nutrition fun. Eating veggies can be your kid’s idea, but if he mentions it, you need to jump on that bandwagon! Make eating healthy a fun and big deal in your family culture! 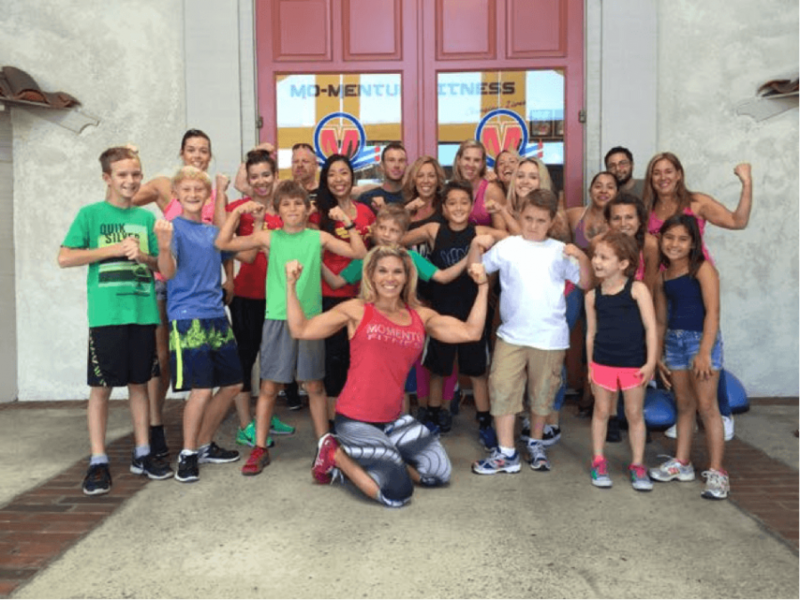 Starting in June we are offering the Mo-Mentum Fitness Summer Camp Mini-Ninja Warrior Training program! This program makes learning to move fun! Your child will be inspired by the other kids in this tribe and by the stories shared with them by their instructors. Sign-up before June 1st and receive $10 discount on enrollment!